Our bifolding doors for garage conversions let you take an old unused garage and turn it into a great new space for work, play or as a guest suite. In this article, we explain why our frameless slide and fold doors are one of the best ways to turn an unused garage into a new room in your home. Frameless bifolding doors for garage conversions. Our frameless bifolding doors are suitable for any kind of garage or storage area whether the garage is attached to your home or as a separate building. Can add value to your property. Provides a new way to enjoy your garden away from the main house. Frees up space in your house. 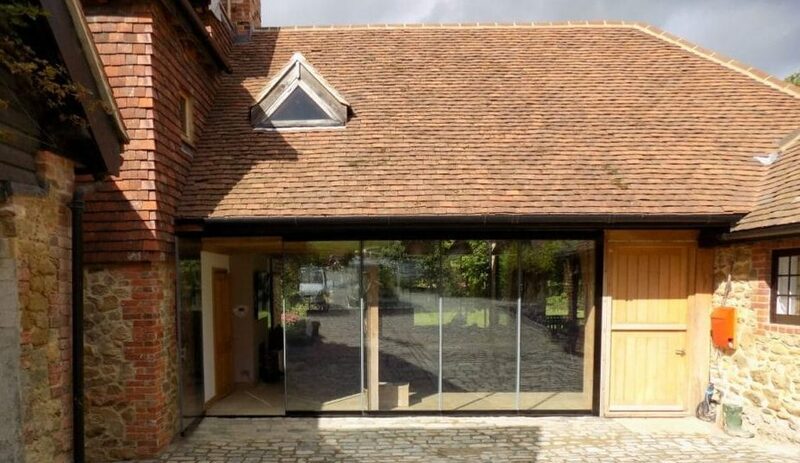 Why consider a frameless sliding and fold door for your garage conversion? A sliding or bifolding door is the best type of door in a garage conversion but the popular full-framed versions come with their limitations. Sliding doors are an excellent choice for flooding the room with light and providing a ‘glass wall’ when closed. The bigger glass panels of sliding doors will turn this smaller space, often with only one side of the garage having a door, into a light-filled space. However sliding doors will only give you 50% of the available clear opening with a double track or two-thirds opening with a triple track. Bifolding doors allow you to open up the entire wall to create a wonderful open space in the summer months. However, bifolding doors have the disadvantage of smaller glass panels and more vertical aluminium mullions. Our frameless bifolding doors are sliding and folding doors in one great product. Our frameless slide and fold doors come with both the benefit of uninterrupted glass area provided by sliding doors as well as the fully open aspect when you want it, of bifolding doors. Offers the uninterrupted views of sliding doors. The convenience of bifolding doors. The functional traffic door found in bifolds for everyday use. A lower weathered threshold than bifolding or sliding doors. From two up to multiple panels. The benefits of frameless bifolding doors for garage conversions. Our frameless bifolding doors are a great choice if you are thinking of converting your garage into a habitable or usable space. They provide all the security, energy efficiency and reliability you expect from a quality product. They also come with other great benefits too. The frameless design with no visible mullions is unique to our product where other doors marketed as frameless actually have aluminium or plastic trim on the glass edges. Our doors use our patented glass spacer bar and engineered gaskets where the doors meet. No aluminium, no visible mullions, no uninterrupted views. Suitable for any kind of access required. The convenient main door found in our slide and fold doors lets you use your doors every day without having to fold the rest of the panels back. All our door panels work independently giving you not only a traffic door when you want it, but the flexibility of sliding each panel exactly where you want it for ventilation. Greater control of how you use your doors. Our doors also give you more flexibility in your room as well. The design of our doors lets you place furniture right up against the doors even if they open inwards – something you can’t do with a conventional bifold. And only our doors give you both the views of a sliding door and the open aspect of a folding door. Customise your doors as you want them. 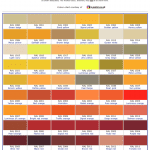 For your garage conversion, you can customise your doors with a big selection of colours, a choice of contemporary door furniture and even switchable glass to turn your doors from clear to obscure and not needing blinds. Thinking of converting your garage? Contact us for help and advice. If you would like more information about our bifolding doors for garage conversions, or even our slimline patio sliding doors, windows and other products for your home, contact us today.